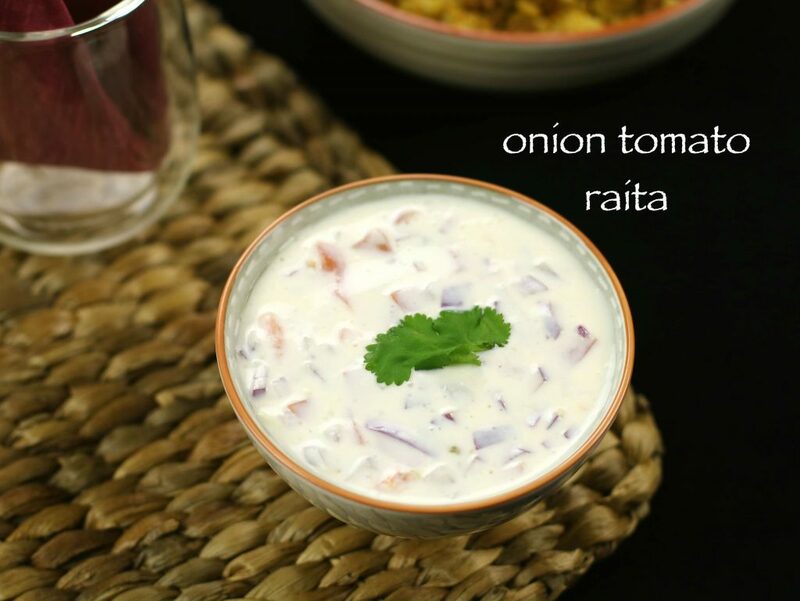 onion tomato raita recipe | tomato onion raita recipe with detailed photo recipe. raita are very important side dish for rice recipe and for parathas. 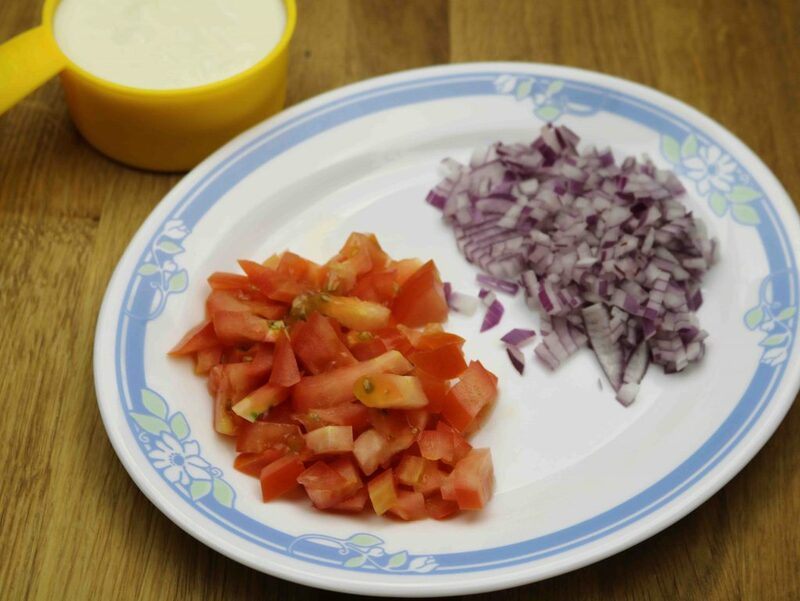 onion tomato raita recipe | tomato onion raita recipe with step by step photo recipe. 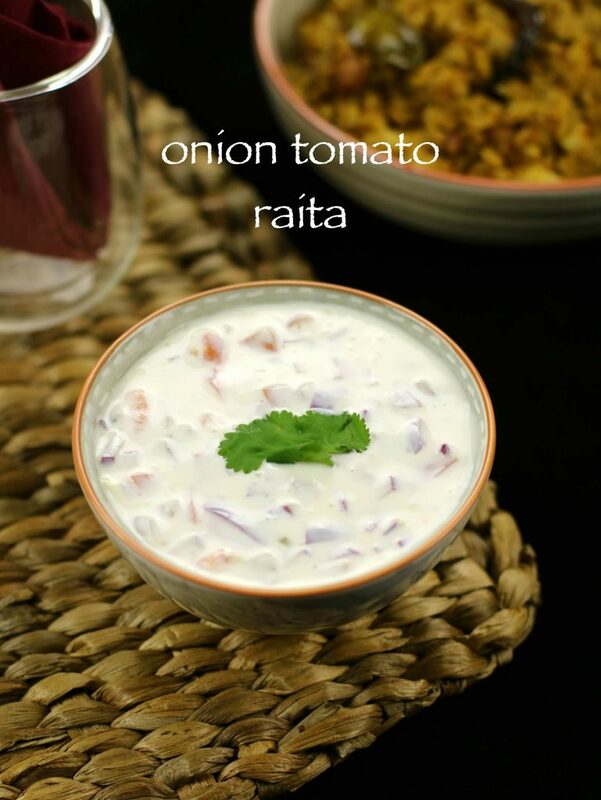 tomato onion raita is a simple flavored yogurt recipe. it is topped with finely chopped onion and tomatoes. raita plays a very important role when served with spiced rice dishes. it helps to neutralise the heat of spices when served with biryani recipes. 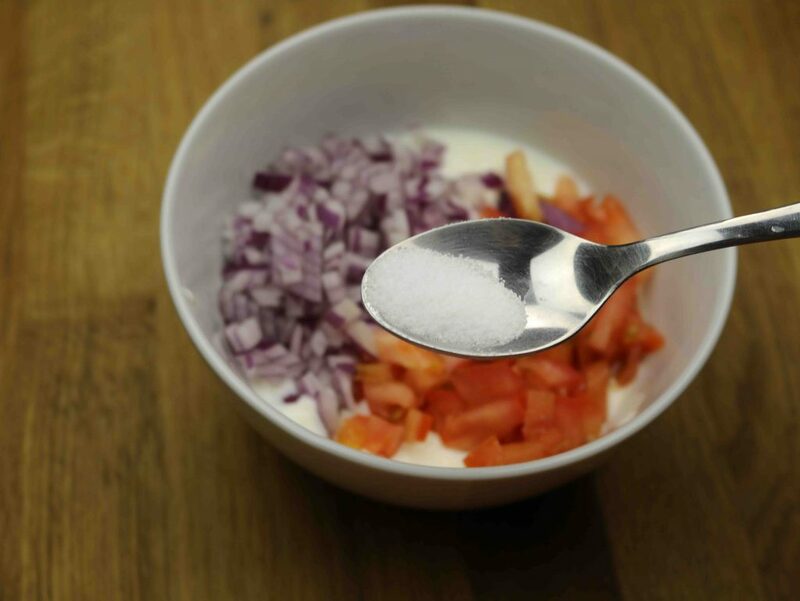 i prepare several variations of raita, out of which i personally like onion tomato raita. i make sure to chop the onion and tomatoes finely. this helps the curd to blend and mix well with onions and tomatoes. you can also add finely chopped green chilies, however i do not recommend it. tomato onion raita is also served with paratha’s. aloo parathas goes very well with onion tomato raita. i personally prefer raita instead of curries for parathas. moreover, you can also use raita for indigestion problems. serve onion tomato raita with some jeera powder for immediate relief. i love to have tomato raita as it is as it taste nice than plain curd. i have posted collection or rice recipes which goes very well with raita. serve onion tomato raita with veg biryani, paneer biryani recipes. also with tawa pulao, puliyogare, coriander pulao or even with tomato pulao. you can also consume raita with roti or paratha recipes too. in a bowl onion and tomato. mix it well. now add the whisked curd and give a rough mix. add finely chopped corriander leaves anad mix it. garnish the raita with coriander leaves. initially, finely chop the onions and tomato. also take 1 cup of curd and whisk it properly. add salt as per your taste. be careful, while adding salt. you do not want your raita to be salty. you can add burnt crushed jeera to enhance the flavour of raita. this would enhance the taste and good for digestion. optionally, add finely chopped green chilli. you may need this only if you like spicy raita. add very less salt to your raita. otherwise, you may feel salty when combined with rice recipes.